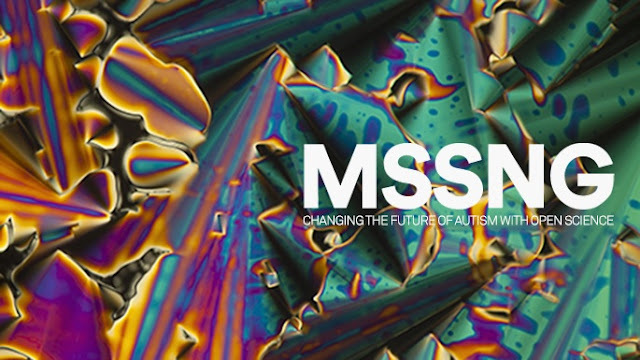 “MSSNG”, a project which aims to sequence the whole-genome of 10,000 autistic individuals and make the data available to the public, was launched by Autism Speaks in collaboration with Google. The name of “MSSNG” is pronounced as “missing”, but has vowels omitted. This deliberate omission reflects the missing puzzle pieces of autism. The address of the MSSNG website is www.mss.ng, which is easy to remember and hard to forget. This project will make a huge impact in the genetic studies of ASD given its unprecedented sample size and the open access policy. The huge volume of the sequencing data will be hosted in the Google Cloud Platform and can be analyzed with Google Genomics tool. MSSNG may lead to a major breakthrough in the understanding of the cause, the diagnosis and treatment of the autism.